I was talking to my mom about slowing down and unhurrying the season and we were trying to figure out the last time I wasn’t working around the clock for Christmas. We were on the phone and it was a long conversation, which is a new benefit of the unhurried Christmas. My mom usually gets the brunt of my busyness. She always takes the time to call to make sure I am taking the time to sleep and eat and do something fun now and again, and she is met with “Can I call you back after…” or “I can’t talk, I was just about to…” or “I have been meaning to call you but by the time I slow down it has been too late.” She tells me the housework will wait when I am running on 5 hours of sleep. She tells me she will call me to wake me up if I decide to take a nap between work and an evening commitment. Mama Mia, if you are reading this, thank you. There was one time I slowed down a while—when I moved back to upstate New York and moved in with my grandparents. I worked part time raising donations for a television auction. I didn’t have a car or an alarm clock, I just fell into the staid, calm of their routine. Every morning my grandfather said my name at the closed bedroom door and 30 minutes later there was a cup of coffee on the table for me between his mug and my grandmother’s tea cup. We bundled up and headed out in the icy air of a Buffalo winter, and listened to old music on an am station in the car. From January to May my grandfather drove my grandmother and me to work and picked us up at the end of the day. There was not much quiet in my big, rambunctious, Italian family, but my grandfather was a font of calm for me. Somehow when I moved back I got this focused time with my grandparents that I hadn’t had since childhood, before all of the cousins and siblings were born. For the first time, I was an adult to my grandparents (or as much as a grandchild can ever be an adult to their grandparents) and our relationship grew. 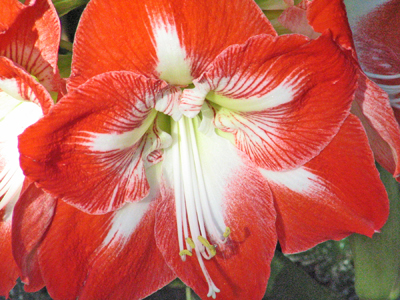 That winter I bought an amaryllis and when I showed it to my grandfather, he adopted the whole project. We’re both gardeners in a family that is kind of annoyed by the mess dirt creates. Before too long, the plastic pot the bulb came with was abandoned in favor of a recycled ice cream tub. As the bulb sprouted, he stuck pencils in the soil to prop it up. And then the pencils were replaced with yard sticks. The whole operation was in the window next to his chair at the dinner table—the sunniest spot in the house for many reasons. 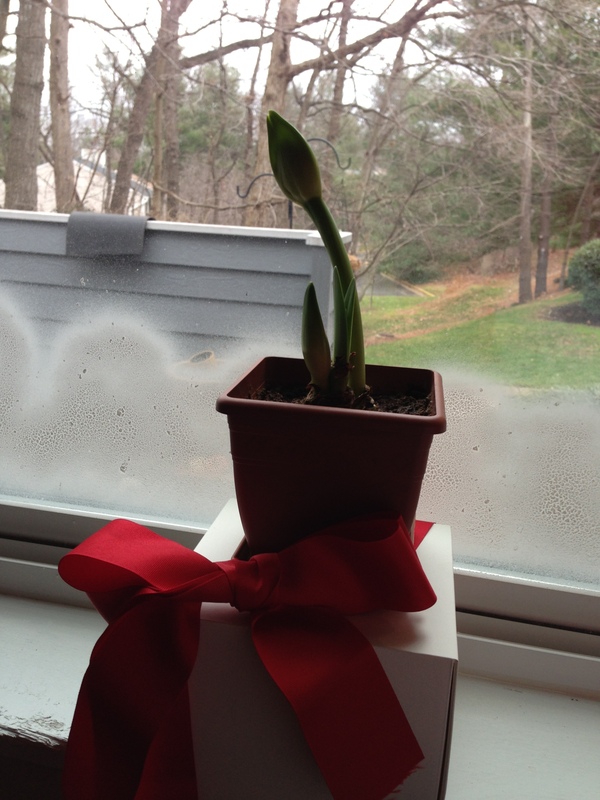 And that bulb, our Christmas experiment, thrived. Not long after that, after a quiet, eyes-forward conversation as we drove together, my grandfather, my papa, told me that he had lung cancer. I brought him a tiny Christmas tree in the hospital. He was home and back there over the Christmas season. I would go and sit with him and talk with him for the few minutes that he would be awake and he would smile and laugh and ask me to turn on the news. That was the last Christmas we had together. I found those bulbs at the foot of his basement stairs in the spring when he passed away. The bags said “Christmas bulbs” and the year they were first planted written in his handwriting. When I went back for them a week later, someone had already thrown them away. 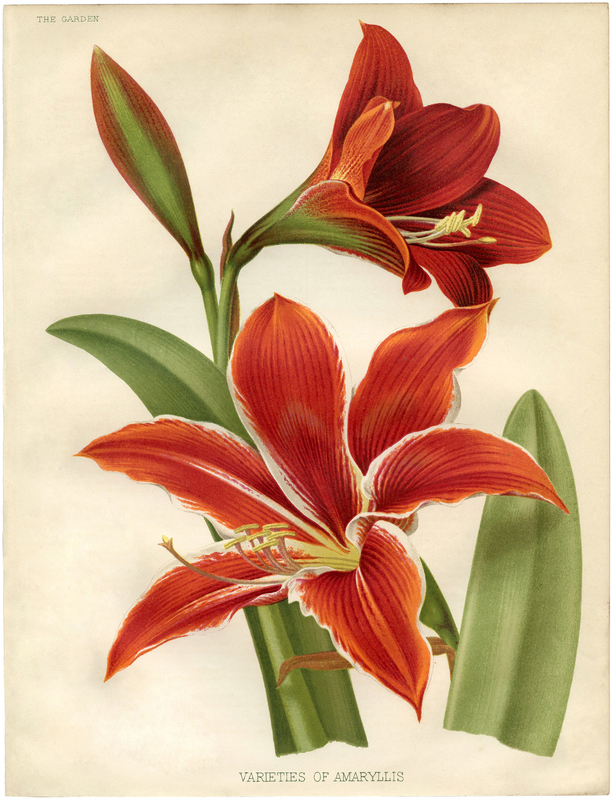 I have planted an amaryllis and thought of him, no matter where I have been, every year since them. My mom started planting them too. Somewhere in there, I started sending them to her for Thanksgiving and we would plant them—on opposite ends of the country—at the same time. We then spend the whole Christmas season sending one another pictures of their progress and then of the big, breathtaking blooms. I have gotten a lot of Christmas memories and cheer out of this unintentional tradition. I am posting this a bit early because it is on my mind—and because I want you to take the time to plant one too. Last year I kept meaning to get to it and I didn’t. It wasn’t until my mom told me she gave my brother one to plant for the first time at his house that I eventually bought one at Target. It was the last of the batch, it was busting out of its torn paper package and it was already stunted and contorted. It did not have a good start and I didn’t have my grandfather’s sunny window. It took forever to get rooted. I was so behind the others. It bloomed around the New Year and it was gorgeous, but it wasn’t the same as taking the time to do it right. I said never again, so here is where I own up to that. This bulb will hit the dirt on Thanksgiving. And with it will spring up another year of memories and the warmth of the season. Thanks for stumbling over. I am glad you’re going to follow along. I am getting Unhurried Christmas 2014 underway–think firewood, rum balls and a whole lot of christmas cheer!